Bottled in July, 2005, the saturated ruby/purple-colored 2003 exhibits a tightly-knit, but promising nose of mulberries, blackberries, cherries, and hints of new oak and truffles. Bottled in July, 2005, the saturated ruby/purple-colored 2003 exhibits a tightly-knit, but promising nose of mulberries, blackberries, cherries, and hints of new oak and truffles. 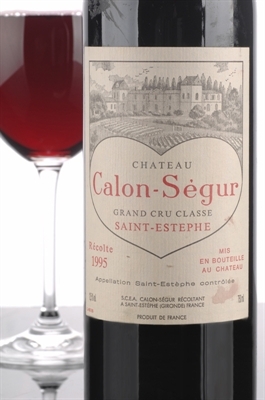 This 60% Cabernet Sauvignon / 40% Merlot blend possesses a gorgeous texture as well as an expansive, exotic softness, and 13% alcohol (according to the proprietor, Madame Denise Gasqueton). Generous and rich, this high class, full-bodied wine will undoubtedly be more approachable than its closest spiritual sibling, the 1982.